You will find that there are many prominent wedding reception locations found in Lake Tahoe when conducting a search of where to celebrate your special day. Many couples will be quite satisfied during the course of their search with the quality of places they find. However, for some brides and grooms, they want that extra edge for their event of a lifetime. If you are one of those couples who are looking for a wedding venue that is noticeably above the rest, three of Tahoe’s best are The Ritz-Carlton, Valhalla Grand Hall, and Edgewood Tahoe. Located on the north shore of Tahoe in the quaint town of Truckee, the Ritz-Carlton is a well known establishment and offers several wedding and reception venues within its facility. Providing multiple options for an indoor or outdoor celebration, you will find that this resort is rather an exclusive wedding venue that will meet your every need. 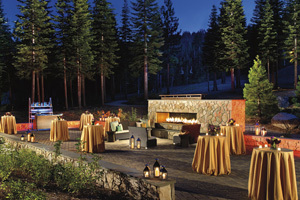 One of the Ritz-Carlton’s salient outdoor reception sites is the Fireside Terrace. The approximate 2,000 square foot stone patio with its extraordinary seven-foot long fireplace has remarkable open-air views of the forest. Spaciously accommodating up to 180 guests, the setting is perfect for an outdoor celebration, one that provides an ornately quixotic atmosphere. For indoor reception festivities the Ritz-Carlton Ballroom is an optimal choice. With floor-to-ceiling window features you’re sure to catch impressive views of the striking Sierra Nevada Mountain Range, particularly when stepping outside onto the adjacent walk-out terrace. 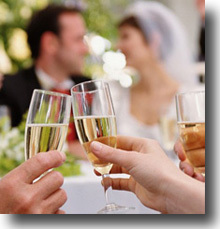 Able to accommodate up to 500 guests, the Ritz-Carlton Ballroom is quite suitable for large, formal wedding receptions. The Pines Ballroom is another classy indoor reception area provided by the resort. Very similar to the Ritz-Carlton Ballroom, this ballroom is ideal for smaller wedding parties that’s able to maintain a capacity of about 200 guests. 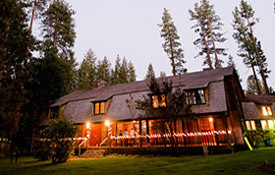 Located on the southwest shore of Lake Tahoe in Camp Richardson in close proximity to world-famous Emerald Bay, the historic Valhalla Grand Hall is a magnificent wedding and reception facility that can rival any first-class resort in Tahoe offering the same. Built in 1924, the Scandinavian-style construction with its rustic look is very imposing. The interior is equally impressive with finely crafted woodwork, French doors opening to a porch that wraps the building, hardwood floors, a balcony that overlooks the reception area, and an attractive stone fireplace. 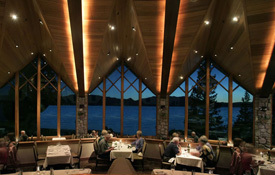 Valhalla Grand Hall also consists of an open, outside lawn area that offers forest views and glimpses of Lake Tahoe. With its capacious outdoor section and rather airy reception hall, Valhalla is vastly fitting for large parties of up to an approximate 120 guests and is appropriate for formal or semi-formal receptions. Bordering California and Nevada on the southern edge of Lake Tahoe is renowned Edgewood Tahoe, most notable for its world-class golf course. 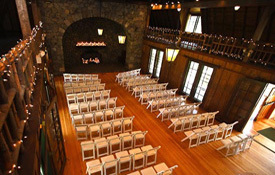 Edgewood also doubles as a first rate wedding and reception facility that is unsurpassed in quality and service. 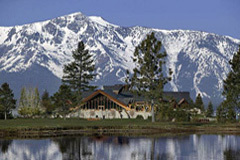 This prestigious venue is lakefront and provides astounding panoramic views of the lake and majestic Sierra Nevada Range. There are two indoor banquet rooms from which to choose, and both are equivalent in amenities provided. The North Room consists of over 2500 square feet of elegance that allows for large parties of up to 250 guests. Its tall window attribute provides scenic panorama and beautiful sunsets. Adjacent to the North Room is the spacious veranda that overlooks the water, adding to the romantic ambiance of your special occasion. Similarly, the South Room contains the same elegant decor as the North, offering tall window features, scenic views, and a walk-out veranda of its own. The main difference is that while the North Room is geared toward larger wedding parties, the South Room has a smaller guest capacity of an approximate 100 people. 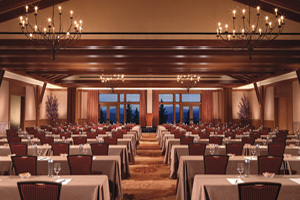 When exploring for the perfect place to celebrate your wedding day and you discover the abundance of quality and highly desired amenities made available by each of these prominent resorts, it becomes apparent that the Ritz-Carlton, Valhalla Grand Hall, and the Edgewood Tahoe are deserving of attention. If you’re looking for excellence to beautify the celebration of your special event of a lifetime, these unparalleled and exclusive wedding reception venues are indisputably three of Tahoe’s best. 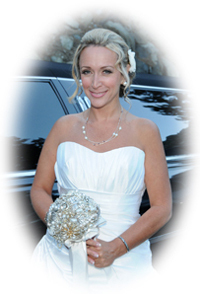 Exclusive wedding locations in Lake Tahoe are abundantly available if you’re planning a wedding in Tahoe. For brides and grooms who are contemplating getting married along the shoreline of one of the largest and most gorgeous alpine lakes in the world, visit the beautiful beaches around Tahoe through our virtual tour.